As I look back and take stock of the races I’ve run in the year under review, I must admit that this year has been one of my favourites. I had minimal injuries compared to last year’s plantar fasciitis pain and even though I entered fewer races than previous years, the ones I did run stand out for me for different reasons. 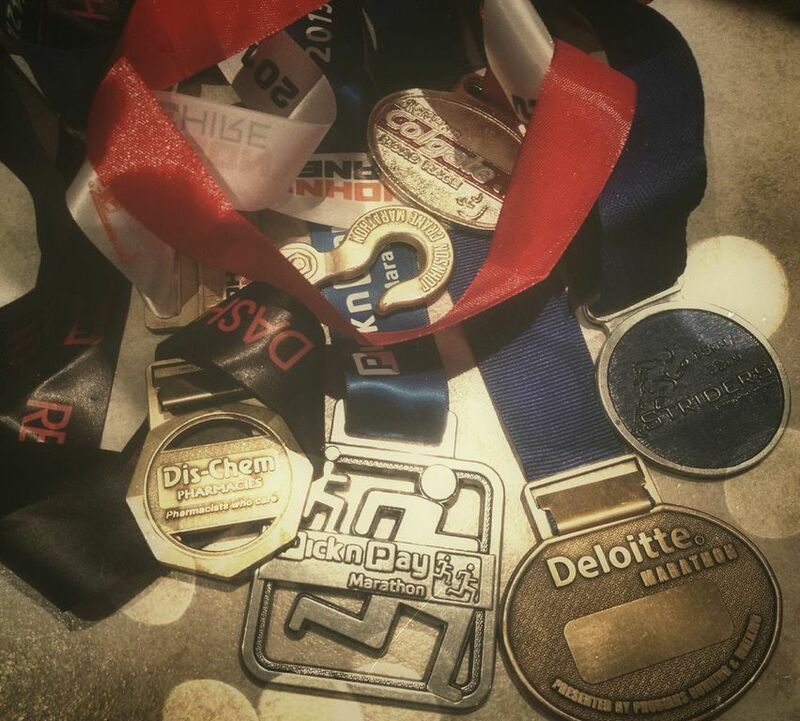 I started 2013 with the Johnson Crane & Pick ‘n Pay half marathons – two of my favourite 21km races. It was after seeing the smiles of joy on runner’s faces at the finish line of the Johnson Crane that made me ask myself, “Who cares how long it takes me to run 21kms! I want to be as happy as these runners!” It set the tone for the rest of the year. I absolutely loved the KFC Valentines night race. Loved! This was my very first race I ran years ago, so going back and running it again was just magical! I also returned to conquer the Deloitte half marathon! After coming dead last (I kid you not) in 2009 and vowing never to run it again, I did it! A race I did expect to come last in (but didn’t) was the Springs Striders 15km race because there were so few runners participating. But it turned out to be so memorable especially running in the mist which was so eerily quiet and beautiful! Running at my pace had its advantages as I missed the Pick ‘n Pay shootout during the RAC 10km race! But ironically, it wasn’t just these races that stood out for me. I must confess that I enjoyed my running mainly because of the shorter unplanned distances too. Getting home after work and heading out into the hot afternoon, watching the sun setting, chatting to my running partner (@terencetobin) was what made the difference for me. I didn’t over-analyse every run like I normally do but just enjoyed each run for what it was. Just me. Out on the road. Running. This entry was posted in My Races, My Running and tagged break, hibernation, races, running, training by Bo. Bookmark the permalink.